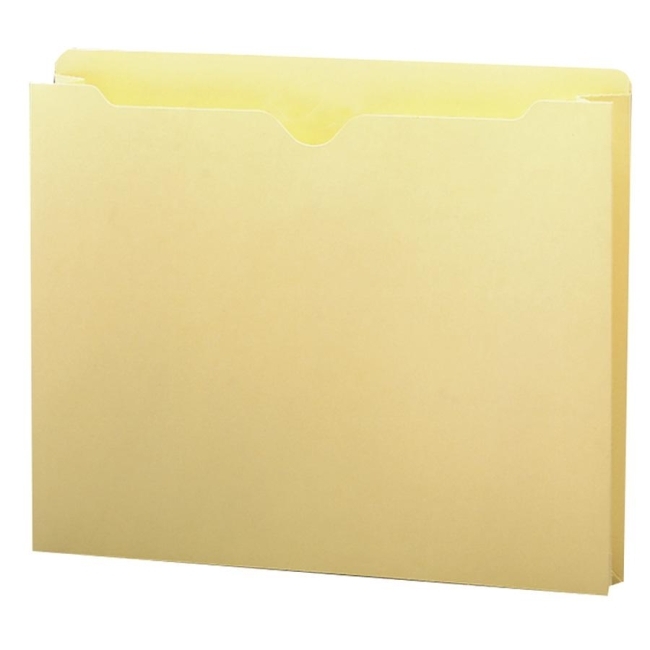 Manila File Jackets have full height side gusset to keep materials from slipping out. Great for taking files out of the office. Each jacket features 11 point construction and straight-cut, 1/2" high, single-ply tab. Offers rounded top corners on back panel and thumb-cut in front panel.